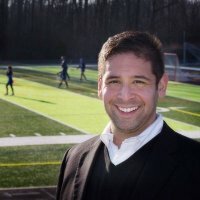 John Ciecko 3 is a 2x drug free sport scholarship winner for his work in educating athletes, coaches, parents and community members about drugs abuse. He has also presented at NATA Convention 2015 on the “Science of Addiction, Drug Abuse and Our Athletes.” He joins the podcast today to talk more about these topics he is passionate about. Why are you passionate about this topic? What are some things you would like athletic trainers to understand about mental health? What are the most common issues athletic trainers miss when dealing with athletes? Why are some people more at risk for addiction than others. This entry was posted in Podcast and tagged and Our Athletes, Drug abuse, john ciecko 3, mental health John see-co, Michigan Bucks, Science of Addiction, Science of Addiction Drug Abuse and Our Athletes on March 28, 2016 by Host of The SMB.